Īpašas atzīmes Viegli izjaucama un saliekama bērnu manēža. Manēžas segums un apdare veidota tā, lai bērns nevarētu sevi savainot. 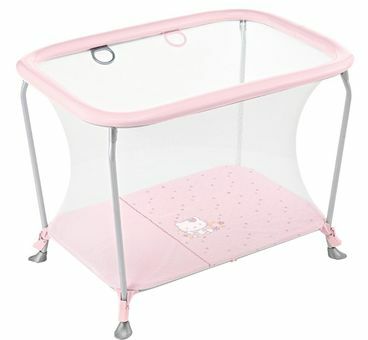 With the Brevi Hello Kitty travel cot Dolce Nanna Plus you have the sleeping place of your offspring always there. The padded base and the mattress supplied provide real comfort. The small pack size allow for effortless driving. A highlight is the fantastic Hello Kitty prints, the big and little ladies much joy.